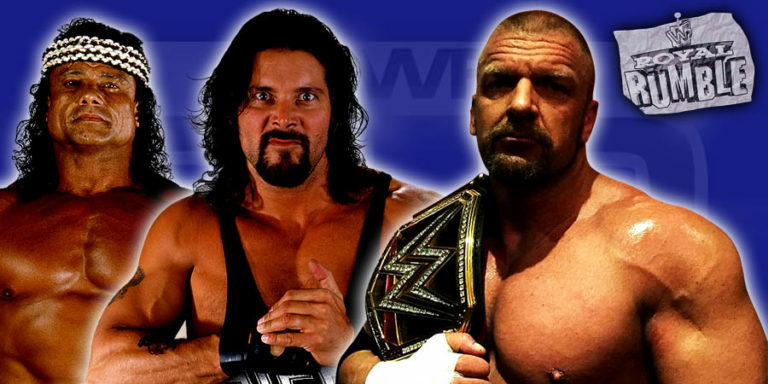 The Royal Rumble is over for this year, but we have now listed the greatest surprise participants in past Royal Rumble matches for you. We did however not include those, that were announced beforehand, like for example Mr. Perfect in 2002. Our list only includes those, that were legitimate unannounced surprises when they came through the curtain (not including internet rumors of them being there though). After being in TNA Total Nonstop Wrestling (iMPACT Wrestling) as “Brother Ray” and “Bully Ray” from 2005 till 2014, Bubba Ray Dudley returned to the WWE as a surprise entrant in the 2015 Royal Rumble match. He drew #3 and was eliminated after 05:22 minutes by Bray Wyatt. After being gone for more than 6 months, Chris Jericho surprised the WWE fans when he returned at the beginning of the 2013 Royal Rumble match. “Y2J” drew #2 and managed to stay in the match for 47:53 mins, before being eliminated by Dolph Ziggler. After a few beatdowns by “The Legend Killer” Randy Orton in 2003, plus him even spitting him Mick Foley’s face, Foley came out as a surprise entrant during the 2004 Royal Rumble match and attacked Orton right away. The former Mankind, Dude Love & Cactus Jack drew #21 and eliminated himself after 43 seconds in the process of eliminating Randy Orton.